This is often the face I make when I'm surprised by a garden spider! I always leave them be though, as they keep my vegetables hole free! For those that love to garden. For the Goth Gardener. 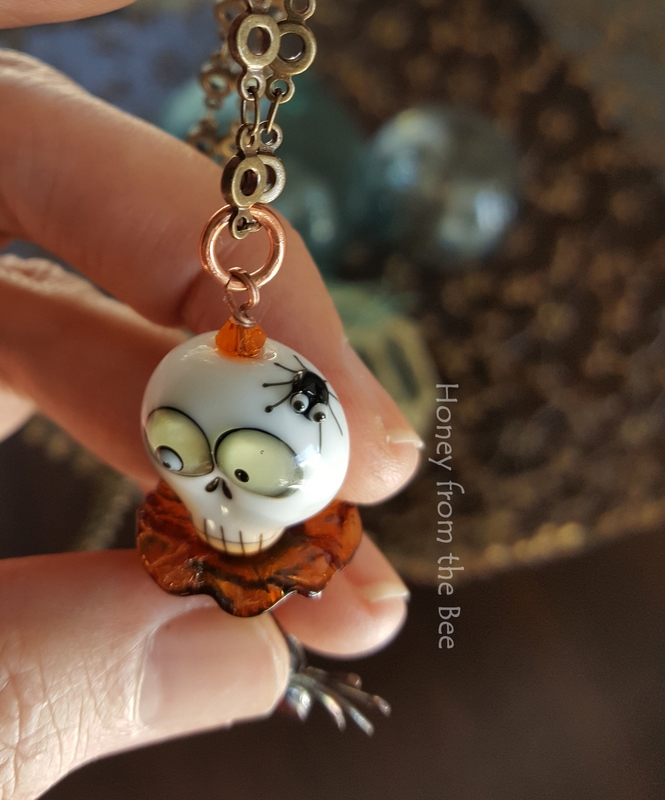 For those that love Halloween. This pendant will never fail to make you and others smile. 21" inch necklace. 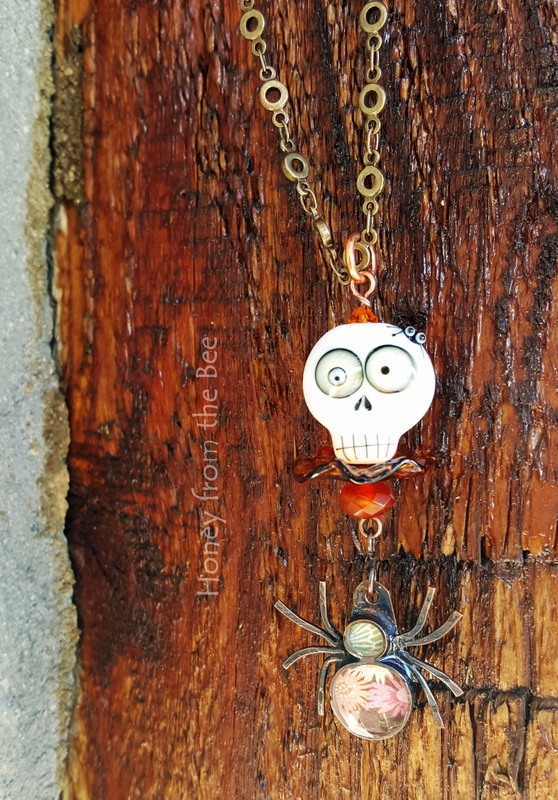 Pendant is about 2.75 inches from the top of the jump ring to the bottom of the spider charm. 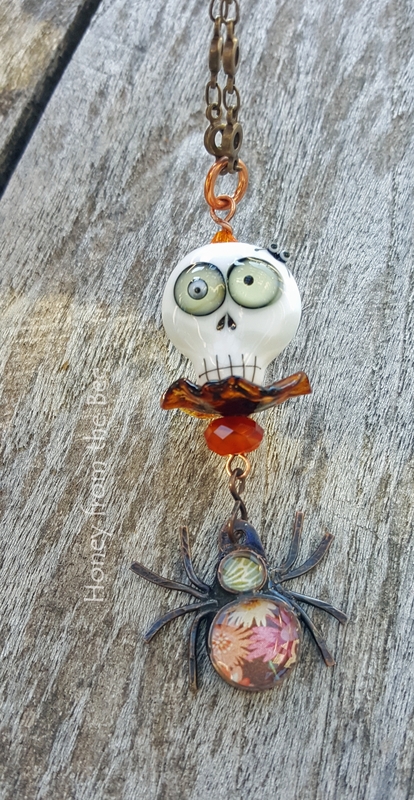 NOTE: If you love Sugar Skulls - check out this other fun one available here.